When it comes to books which have everything, you need not look further than American Gods by Neil Gaiman. This epic novel takes large themes to a whole new level, and trusts the audience to keep track of the tangled webs of subplots. Characters exist in abundance, with every one of them being relevant to the advancement of at least one plot, and with so many you could easily lose track of who's who. Yet Gaiman has the incredible skill of making each and every one memorable, with no individual lost beneath the cornucopia of topics presented in American Gods. American Gods is a roller coaster ride in itself. It's funny, melancholy, dramatic, and complex, yet tackles themes of fantasy, love, death, loyalty, violence, and even the simplicity of domestic life with a majestic ease. 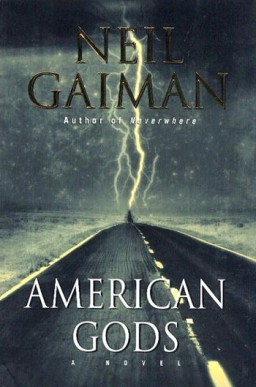 The story of American Gods has you hooked, and though the characters are hard to love, Gaiman's writing has you infatuated by them regardless. Follow Shadow, a widowed ex-con, as he's pulled into the confusing world of leprechauns, dead wives, Norse Gods, and much more. Prepare for a tale that toys with the epic realms of fantasy, yet is one of the best reflections of modern society you will ever read. Winner of the Hugo, Nebula, Bram Stoker, SFX, and Locus awards, American Gods is a must read, and is being adapted as a TV series by Amazon, with the first season available now on Amazon Prime.